This would be the most common question asked by home owners that have a property around 15+ years old. "Should I Renovate my home for Sale? The definition of RENOVATE is to "restore, make good, repair, refurbish, rejuvenate, make new etc". Sprucing Up is a different way of saying cost effective "makeover", "renovation", "rejuvenation" etc. We often think that renovations will cost $100,000+. When infact they can be simple Spruce Ups or mini-renovations for around $20,000-50,000. Looking to set a budget for your renovation? The general rule of thumb is 1-3% of the property value. Sometimes this maybe more or less depending on the property. If you are thinking of renovting for the sale, then ask yourself this question "what is your end goal?" You want the home to look fresher at sale? 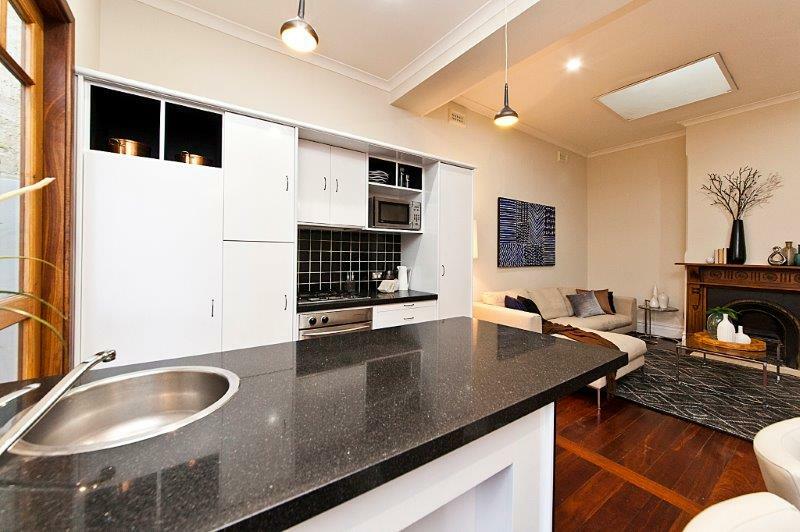 You think you need a new kitchen and stone benchtops? That is what you believe you have to do to sell your home? Before you embark on any renovation there are probably a few things you need to know. Every $dollar you invest in a renovation for sale, your aim should be to get a return of ~ 2 to 3 times what you have put in. What I mean by this is, if you spend $20,000 you want to get an uplift in your sale price by $60,000 if not more. Over the years I have been called in to divert renovation disaster, where a home owner has commenced renovating and were about to over-spend significantly. An example was a $700,00 home in Ocean Reef. The owners were about to spend over $100,000+. Their builder and suggested a full strip out renovation but with a tidy up of the kitchen. I stepped in and manage to save them $40,000 and finish the renovation in under 4 weeks. In the end it was not the builders fault. They were doing what they do best and that is renovate. They are not experts in pre-sale makeovers / presentation an understand property value. Most renovations compmanies generlaly don't work below $50,000 for a job. Property Value - what is it now and what is the opportunity after renovation? Buyer market and audience - who are they and what is your market looking for? Renovations are an investment decision. For example..... I know when I look at my superannuation, I check to see what investment sttategy I have. I look at the returns that the investments are giving me and make decisions with my financial advisor as to what I should do. Generally before a decision is made, there is a review of current situation, market and other factors. Once these are understood an investment decision is made. Renovating your home should be no different. You are investing in a property for sale therefore it is an investment decision. Not an emotional decision. The AIM when renovting for SALE is PROFIT. To extract as much profit from the sale of your home with as little spend as possible? Understanding your pre-sale position and strategy will help and guide you down the right path. 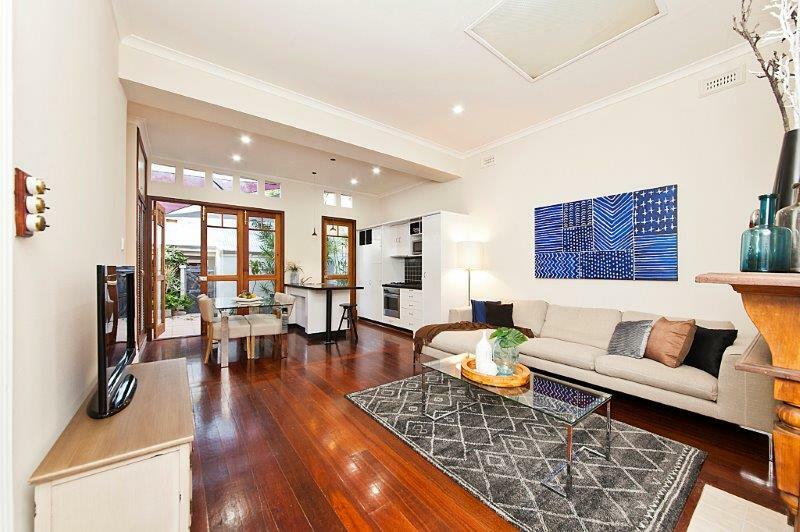 My recent Subiaco renovation which was featured on TODAY TONIGHT, shows how a small investment of $25,000 can uplift the listing/sale price by $100,000. The clients could have spent an extra $5,000-8,000 on lots of little things. However in the end the impact of this investment would be small and not provide a return on that spend. Making wise and sound decision when renovating for sale will always see you profit at Sale. Do your research on your property value and market. Review all options for your renovations - not everything has to be brand new. DIY'ers - if you can't do a good job then get a professional - it can de-value your efforts. Structural renovations may require council approval (i.e removal of walls) - always check. In the end I always say KEEP IT SIMPLE. Simple will always get you more profit.